Unique graduation favors at your open house will help create a special celebration. 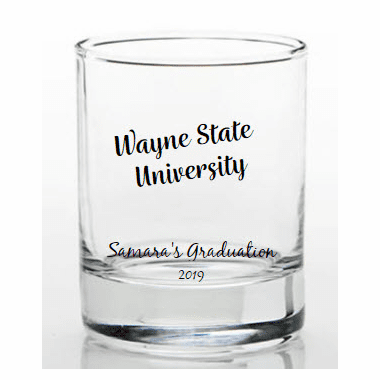 Graduation favors shot glasses are the perfect accent to celebrate the long years spent by your graduate. 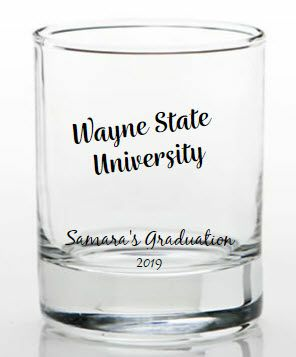 Whether you are celebrating a college graduation, or you are even celebrating a law school graduate or any graduate level courses completed, this shot glass/candle holder is for you. 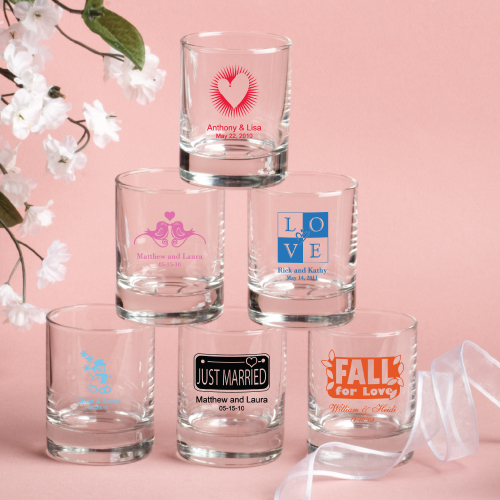 Each 3 1/2 ounce clear shot glass measures 2.5" tall x 2" round and is made of clear glass with your choice of design silk screened on the front. You choose from a wide variety of ink colors and designs/themes. You can also design your proof online. My mom and bridal party LOVED them. They said the quality of the shot glass is great and they everything came out beautiful. I am planning to order more. Great job. I have used you guys before twice in the past, and also a marvelous job.